What’s your current marketing strategy? Does it involve spending lots of dollars on advertising and fancy brochures? What if I said you might be completely off target? And that I’ve been in your shoes. Spending much of my efforts pushing out carefully designed material to wow potential clients. Only to find that no one cared. 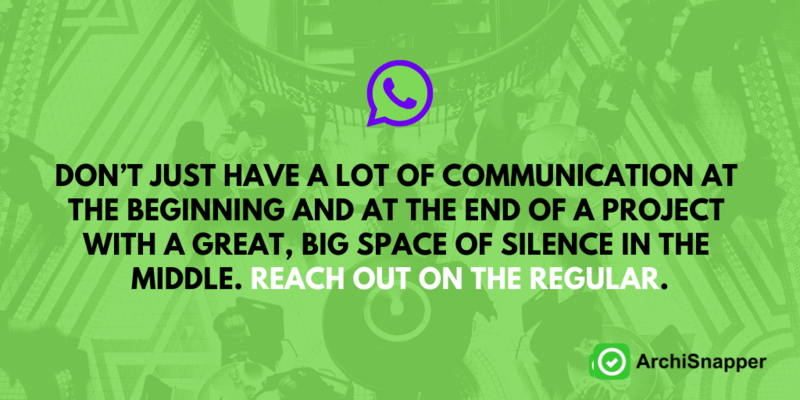 The problem is that people are overwhelmed by the sheer amount of messages presented to them on a daily basis. They have gone immune. “Which marketing activities are most likely to make a LASTING IMPRESSION on people”? The answer will follow in a sec, don’t worry. I work with marketing in a small and medium sized business setup every single day and have done so for years. It’s hard because you never feel you have enough bucks or time to compete with the big guys. However, switching off the autopilot and taking a step back to reevaluate my own marketing efforts made me completely rethink my approach. And it ultimately made me WAY more efficient at what I do. So here’s the big secret to standing out in the crowd. Are you ready with a pen and paper? Yes, your marketing goal is to get more clients. But your (potential) clients don’t care about that. They’re swimming in a pool of their own concerns. 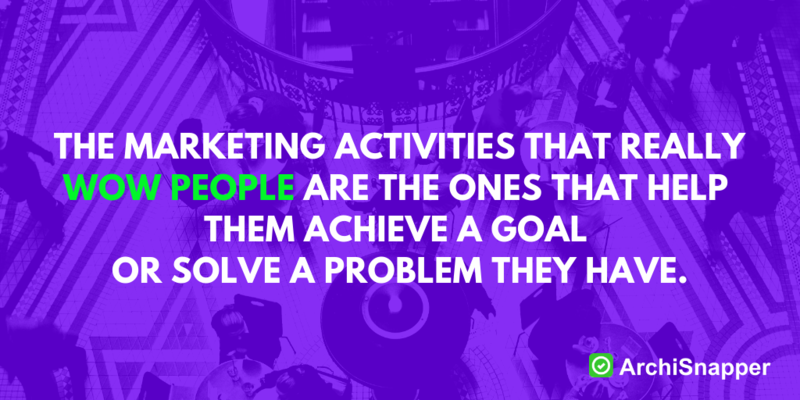 So forget your goal and refocus your marketing efforts to support client goals and well-being. This means spending LESS MONEY on pushing the message of how great you are. And A LOT MORE TIME on the kind of CUSTOMER SERVICE that will TURN YOUR EXISTING CLIENTS INTO DEDICATED AMBASSADORS. Because an ambassador would recommend you any day of the week. And any business thrives on good old-fashioned word-of-mouth referrals. When referred by a friend, people are 4x more likely to make a purchase. 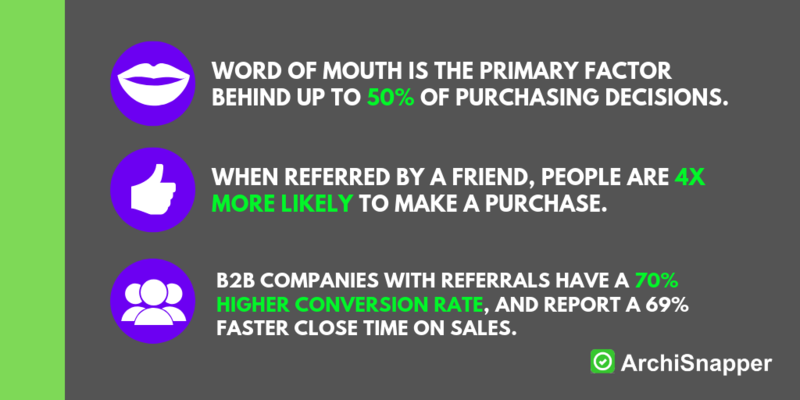 Word of mouth is the primary factor behind up to 50% of purchasing decisions. Business to business companies with referrals have a 70% higher conversion rate, and they report a 69% faster close time on sales. Also repeat customers are very valuable. Check out this simple calculation and consider how much more money you could make if clients would bring return business to your doorstep. Still with me? Bet you’re wondering how to turn your clients into ambassadors for your business, right? Speak in plain English. No jargon allowed. Don’t just explain your ideas, engage your clients. Deliver more than a building. Deliver trust. Make your vision as specific as possible. Reach out on the regular. Now you have the overview. Let’s dive into how to live by each of these rules. 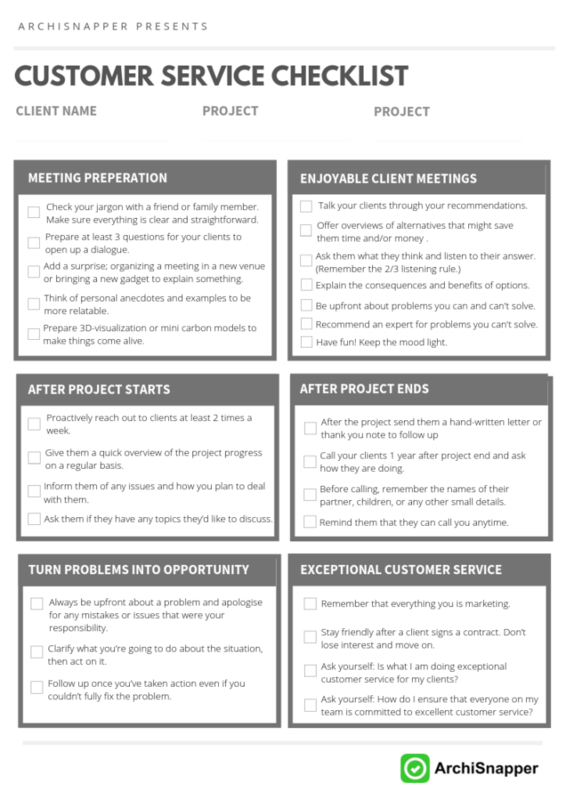 Or you can just download this check list and check how well you’re doing on customer service. If I were to tell you that I could half your CPA for a PPC campaign based on my many years of experience in online marketing, would you feel excited? Most likely, you wouldn’t have a clue as to what I was rambling on about. Your clients may very well feel the same when you recommend to “make risers low and treads deep” or to get doors “topped by elliptical transoms”. Never forget that “normal people” generally haven’t got a chance in the world to understand your specific profession and its jargon. But surely they’ll ask if something is unclear to them, right? Not necessarily. They may be embarrassed to tell you that they only understand half of what you’re saying. Or worse: they may think they understand you, even though they don’t. Result? They make up their own assumptions, misunderstandings happen and you only realise when it’s too late. Worse case scenario may be costly and time-consuming claims, disputes or litigations. You wouldn’t be the first to end here. In 2017, construction dispute costs amounted to 29.5 million USD in central Europe alone. 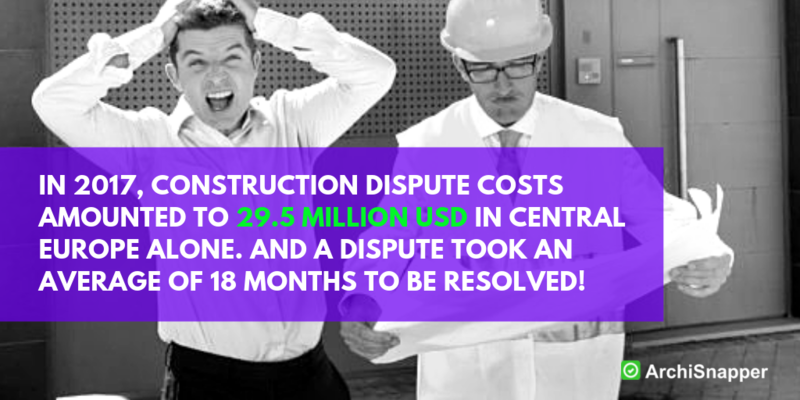 And a dispute took an average of 18 months to be resolved! 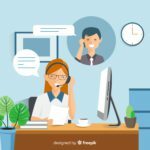 But what really hurts your business isn’t the immediate costs of miscommunication: It’s that unhappy clients will naturally spread the word of their bad experience and damage your reputation. To really put your “plain English skills” to the test, invite a good friend over and ask if you can explain one of your latest projects. Ask your friend to list any term or phrase you use, which was unclear to him. You may be surprised by the result. Now you know the pitfalls of jargon. 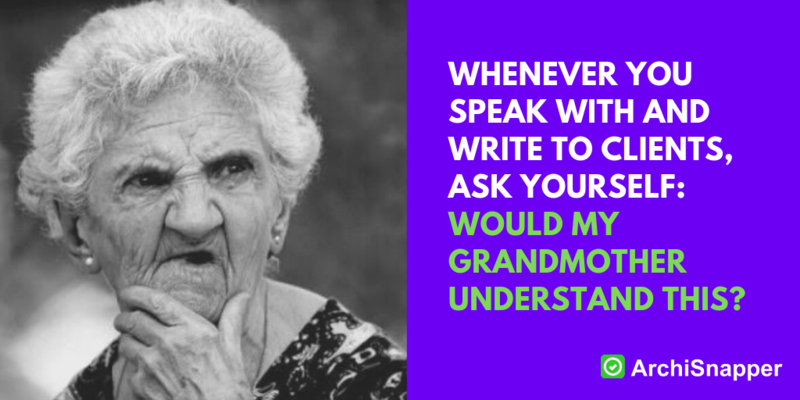 Always keep the “grandma-test” in mind. Don’t talk to people as if they were stupid though. Arrogance and customer service don’t match. Before a client meeting, prepare at least 3 questions to ask your clients. This way you also make them feel comfortable about asking their own questions. 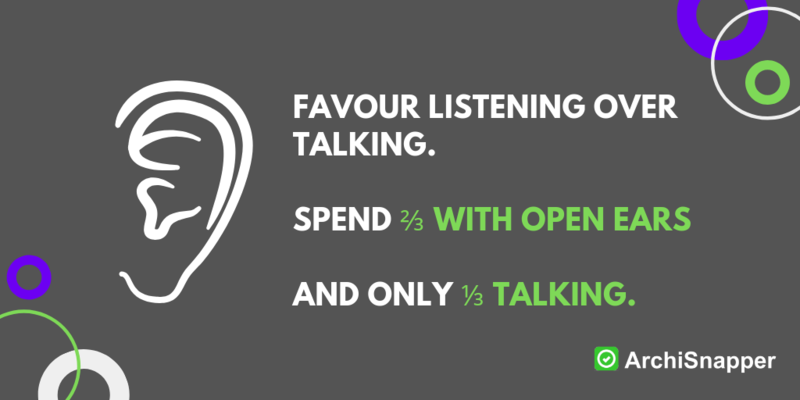 Generally favour listening over talking. Whenever you’re with clients, spend ⅔ of your time with wide open ears and only ⅓ talking. More on that strategy here. Did you have a favorite teacher at school? Or someone that really inspired you to learn a skill as a kid? I invite you to think of this person now. Why do you remember him or her so well? Usually, really good teachers have OUT-OF-THIS-WORLD people skills. They don’t just know their topic really well, they know how to open a new world to people. Not all clients will find your meetings equally exciting. Some topics might be downright boring to them. 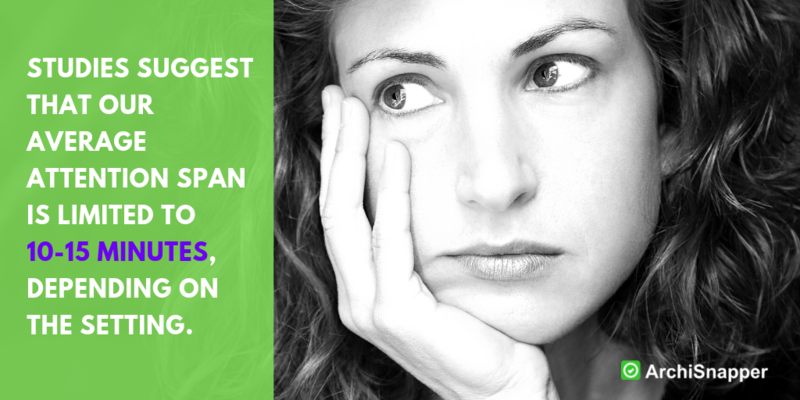 Studies suggest that our average attention span is limited to 10-15 minutes depending on the setting. So even if you speak in plain English and your clients understand every word you say, they may stop listening halfway through the conversation and start to ponder what’s for dinner tonight. Seems like a losing battle to you? Don’t despair just yet. Imagine you could bring that favorite teacher of yours to client meetings. She would turn building regulations and insulation into their next big hobby. And at the end of it, your clients would be asking where to sign up for class, right? Of course, you can’t metamorph into someone you’re not. But you can steal the little tricks good teachers use to make others so eager to listen. In the cult movie “Deads Poets’ Society” the main character is an English poetry teacher called John Keating. Mr. Keating is special because he makes the students stand on their desks for a fresh perspective, rip out the introduction of their poetry books and encourage them to develop a signature style walk. The point? Every once in a while, shaking things up is the best way to reach people. Consider this approach when you really want to engage your clients. Maybe you invite your clients to the rooftop of their new building instead of having all meetings in an office. Maybe you bring some coffee in a straw-bale insulated pot and open the topic of good insulators from there. Your aim? To make them remember that meeting because you surprised them in a really positive way. And as a great side-effect, they might start spreading the word about you short after that experience. Because who can resists passing on a good story? It’s free PR for you if you do it right. You want to talk about different insulators for your client’s new home? Instead of listing them all with their pros and cons, how about sharing a couple of personal anecdotes? You’ve seen the outcome of different types of decisions – bad and good. Share that knowledge including specific details on why it’s might be a bad idea to use straw bale in a very humid climate. This will make both you and the issue at hand more relatable. Then finish of with a nice written list that provides an overview of what you’ve just gone through. Now, they might actually care to take a closer look at it. Crack some jokes to get through the boring stuff. 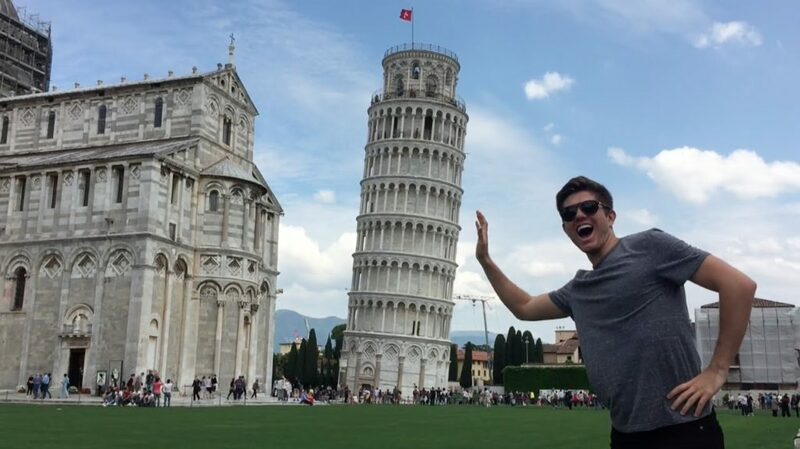 There are some really funny construction fails out there. Although, you should use humor with care and make sure you’ve established a good relation of trust before you get too funny. 3. Deliver more than a building. Deliver trust! Let’s say a client hires your firm to oversee the construction of their new home. If you deliver this building within time and budget, you should have a super happy client that will think of you first when they need a winter garden added, right? Not if they’re left unsure about how you got there and why it had to cost what it did. The “hard” deliverables such as a fully functional home aren’t all that matter to your client. They need to trust that you helped them take the best possible decisions along the way. Process and communication are key. 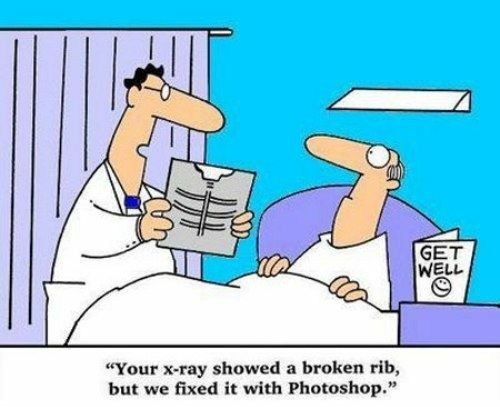 Think of what you expect from your doctor. Yes, you want them to professionally diagnose you and provide you with the right cure. But you also want them to explain to you what is going on, why a certain type of medicine or operation would benefit you, which possible side-effects to expect and whether they are alternatives to consider. You might end up agreeing with their initial recommendation. 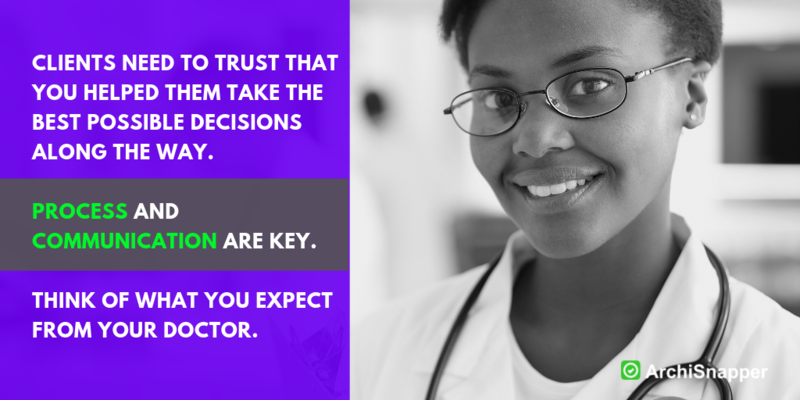 But the time a doctor invests in bringing you onboard with that decision is what will ultimately make you FEEL IN SAFE HANDS. Involvement and expectation management isn’t just fundamental to a good patient-doctor relation. It’s fundamental to ANY good relation. Talk your clients through the recommendations you give. Give them a rough overview of alternative approaches that might save them time, money or both. Ask them what they think and really listen to their answers. Explain the consequences of their choices INCLUDING negative ones. Be upfront about which problems you can solve for them – and what you cannot solve. Don’t try to photoshop your way out of a situation. And for that extra piece of service, don’t just leave them high and dry. If they have a request outside of your area of expertise, do what any good doctor would do: Recommend an expert to them. For more interesting insights on how to build a trustful relation, check out this report that includes interview from over 500 architect clients. Pablo Picasso is probably one of the most famous artist in the world. So why should you do everything in your power to avoid being like him (at least in your business relationships)?. Because his work just got more and more abstract over the years. The thing about abstract painting is that everyone sees something different. That’s great for a free-flowing imagination but disastrous in a client relation. Nevertheless, project descriptions tend to leave room for WAY TOO MUCH interpretation. You may already be familiar with the illustration below. If you aren’t, you surely know about numerous building projects that suffered from a similar fortune of miscommunication. Go with a Rembrandt-approach. His paintings were so insanely detailed, they almost looked like a photography. Make everything as specific as humanly possible when you communicate with clients. Use tools such as 3D-visualization tools, mini carbon models, precise drawings and illustrations. Also show examples of similar work, which you’ve been involved in whenever possible. This will help you all stay on the same page. If there is one thing I need to really push myself to do, it’s to call people. I would much rather write an email or even a chat message. But sometimes that just won’t cut it. I don’t know how you feel. However, there is no excuse: You need to call clients, give them a quick brief on what’s going on and ask them how they are. And you need to make that a reoccurring thing. Remind clients of why they’ve hired you and how you help them. Let them know of any issues and how you plan to deal with them. Give them a sense that you’re on top of things and they can trust you. Touch base to find out if there’s anything bothering them and if you can fix it. So really make a point of staying in touch with clients regularly even if they don’t have a problem or contact you. You don’t need to spend more than 10 minutes talking to them but it’ll be time well invested. Call and ask how it’s going 1 year after clients moved into their new building. Spend a couple of minutes recalling the names of their partners, kids or what business they were in before you call. Now you can show a real interest in how they’re doing by asking specifics such as “How is Sarah enjoying her new room?. Say that they can call you any time. It a generous offer that is sure to impress. Send them a handwritten letter or small gift on a special occasion. This is truly outstanding as almost no one sends letters anymore. This “little exercise” is a surefire way to surprise them positively, make them feel like you really care (which to be fair, you do) and remind them of how great it was to work with you. It is also a way to remind them that they want to work with you if they ever have a building need in the future – and if anyone they know asks for a referral, you’ll be top of their mind. It would be wonderful if most building projects went exactly as planned but the truth is that you are very likely to run into some bumps on the way. You’re delayed by an overbooking of key workers, subcontractors’ schedules don’t align with the project plan or the mighty weather gods don’t seem to favor you for a full two-week stretch. Now, your clients are impatient, workers are stressed out and the project that was supposed to turn your client into a fully-fledged ambassador is falling apart. How you deal with the problems that arise will make or break your chances of winning over your client as a passionate ambassador of your business. Always be open to listen when clients bring up problems. Openly apologise if you’re to blame. Stay calm and constructive. Make it clear that you’re going to act and how. 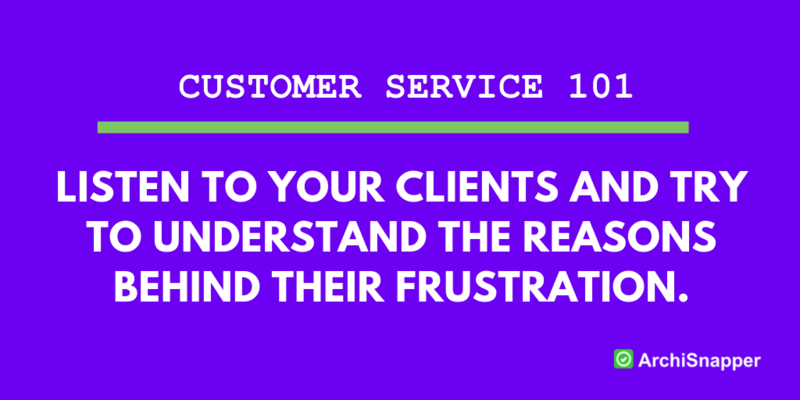 It’s not realistic that you’ll be able to fix all clients’ problems at all times but you can take them serious. Follow up once you’ve taken action, even if you’ve not solved the issue. And be clear on next steps. Sometimes one person can be very impolite and pushy about a missing feature in our ArchiSnapper software, which he or she would like TOMORROW OR THE WORLD WILL COLLAPSE (but actually none of our other clients think it is urgent). Some people start yelling over the phone. And yes, our first reaction was sometimes just wishing one could send impolite and yelling people to the moon. Well, we learned to put our ego aside, and now we almost made it a “game” to turn such customers into friends and ambassadors. By listening to them and trying to understand the reasons behind their frustration. We also stay polite and really look into whether we can do something or not for that customer (even if it is a temporary workaround). We act upon it, follow up, and keep the person informed about the feature development. Even if that crucial feature (for that single client) will only be shipped in one year from now, we’ll keep them informed regularly. If you act like that, people feel you truly care about their problems and you’ll turn them into friends. Please check our reviews here and here and here to see what I mean. If you’ve already been doing a lot of what’s outlined above, you’re sure to be on track to earning repeat customers and a steady stream of referrals. If you want to boost that outcome, however, you’ll need to take it to the next level. That means thinking about EVERYTHING YOU DO as your MARKETING STRATEGY. Or even better, thinking about how to WOW YOUR CLIENTS EVERY STEP OF THE WAY. Don’t stop being friendly once a customer confirms that he’s ready to start working with you. For many people, once a project is signed of, it becomes a ‘task’ on their to do list. They really just want to get it over with so they can invoice it and go on to work on (and invoice) other projects. This is where the road to mediocrity begins. You will never impress anyone with that attitude. If you want your customers to recommend you to everyone and anyone, then you have to really put your back into it. You want him to give you those crazy good reviews everyone dreams of? Then you need to deliver something you are SUPER PROUD of. You need to create something worth sharing on your website and social media. CEO of the online shoe shop named Zappos recently released a book called “Delivering Happiness”. Now, Zappos really has taken company culture and customer service to the next level. One simple example to illustrate their commitment. New employees are offered a 2’000 USD check if they decide to leave the company after their first week. They do this to make sure that the people who stay are really focussed on the long-term gain and not on easy money. They basically make sure they hire people that are passionate about working for Zappos – and that translates into a extraordinary customer service. Are you that passionate about every project? Would you stay on the project if a competitor offered you fast money to leave? Or would you invest in this client relation and the next and the next to build up a reputation that would allow you to raise your fees down the road? Strive to offer excellent service to every customer. And as a result you will be happy in and proud of your job. That’s what really wins over clients – one heart at a time. They will turn into referrals, reviews, testimonials. And your business will boom. This is marketing done the right way. The power of an outstanding customer service cannot be underrated. Especially in a business where people invest big sums of money to realise their dream home, workplace or real estate project. A recommendation from a friend, family member, colleague or business partner will weigh so heavy in their decision on who to work with. And you want to be that guy or lady, right? So plan in that extra mile and really take a close look at how your customer service compares. Could you improve it and what are you really doing to stand out? To get going straight away, download our check list for outstanding customer service here. What do you think? Did I miss anything important? 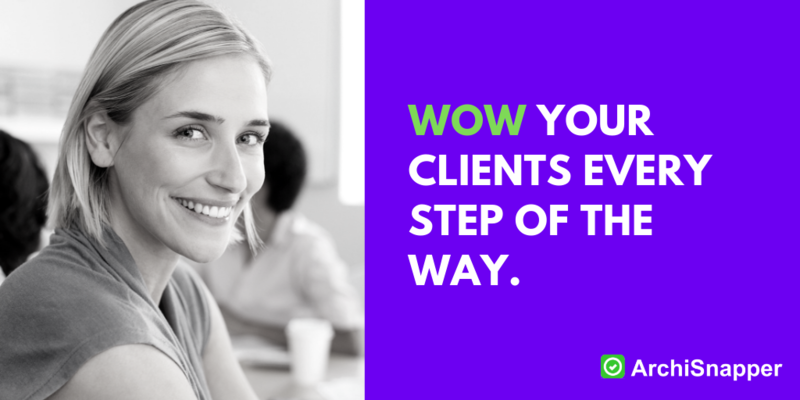 What do you do to wow your clients?